This is where the difference in perceptions is measured. For example, did all Anna’s peers agree that her work was pretty good? Or did someone, such as Dan, think her work was not so good? This statistic will show whether most of your peers had similar perceptions overall. 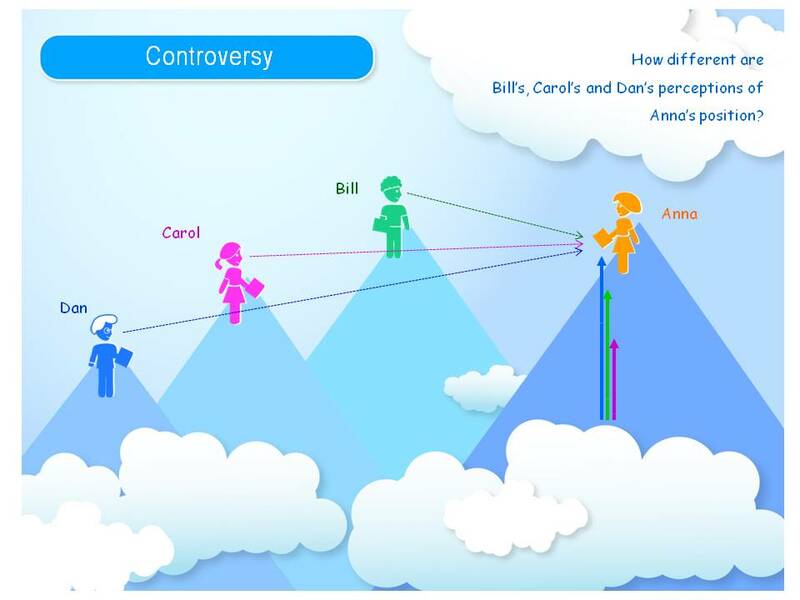 For example, let’s say Bill and Carol have similar perceptions of Anna’s work. Given these two, her Controversy would be lower; however, Dan’s perception deviated from the aggregate perception more and would cause the Controversy to be higher. Controversy levels between 0 and 0.5 should cause little concern. If they are higher, then careful consideration should be taken. Was the assignment understood by everyone in the group? Is everyone’s skill level as an evaluator the same? Do some put more effort into Benchmarking works than others? Several factors can contribute to this. A discussion with your instructor should clear things up and could cause a collaborative effort among your peers, led by the instructor, to improve understanding on future assignments. Mobius SLIP™ is marketed by Social Learning Solutions/CTASIT LLC. Mobius SLIP™ is a registered trademark of Social Learning Solutions/CTASIT LLC. Website, server and application content are copyright. © 2012-2019 by Social Learning Solutions/CTASIT LLC. All rights reserved.